Welcome to the APERS Employer Page Here you will have access to helpful information, including links to GASB 68 information, as well as resources and training modules for using ESS. 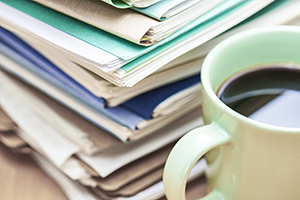 03/26/19 - The audited GASB 68 schedules for June 30, 2018 are now available. The PDF is linked on the GASB 68 page or you may download it directly here. 09/17/18 - We have posted the preliminary employer rates for fiscal 2020 (unchanged from 2019). 06/27/18 - We have posted a downloadable chart of current and past employer rates from fiscal 2010 through 2019. 06 /15/18 - Links to downloadable copies of our summer newsletters for both AASIS and non-AASIS employers are posted below. 05/24/18 - New classroom training dates available for employers. Click here for details, schedules, and registration forms. 04/20/18 - The audited GASB 68 employer schedules for June 30, 2017 are now available. We have posted the schedules on our GASB 68 page or you may download it by clicking here. 01/02/18 - Happy New Year! The APERS Employer Rates FY2019 can be found here, and in the Employer Topics column to the right. Act 91 of 2015 requires APERS participating employers to report compensation and service and to remit contributions electronically by July 1, 2017. Employers have the option of reporting compensation and service to APERS via an Excel spreadsheet. Click here for a Sample Excel file of the Compensation and Service Report. Click here for a detailed explanation of the file layout used in the Compensation and Service Report. Our 2019 schedule for employer classroom training is available. Click here to view the dates and register online. APERS has developed a complete set of interactive training modules to help you learn how to use the COMPASS ESS system. The training modules are separated according to the roles most often associated with a particular task. Choose your role below to access training for all the tasks you may need to perform. A manual for the training modules can be found here. Human Resources functions mainly involve enrolling new employees into the system and terminating employees who leave your agency. Payroll functions include both reporting the service and compensation earned by employees and remitting and reconciling contribution payments. Payroll staff will need to be able to enter the banking information and authorize payments. Human Resources and Payroll functions may be handled by the same staff members in some agencies, in which case they will need training in both. Employer Admin functions involve controlling who has access to the ESS portal. Admins will establish the login credentials for other staff members and define which tasks they can perform. AASIS functions mainly involve reviewing employees' demographic, employment, and compensation information. AASIS users can also report compensation and service adjustments for previous periods. In addition, AASIS users can establish the login credentials for other staff members and define which tasks they can perform.